The average price for this game in the past 6 months is $3.60. The game first became 50% off on Dec 24, 2012 at Amazon. Lowest historic price was $3.40 on Jan 24, 2019 at Green Man Gaming. Dungeon Siege Bundle is at its lowest price ever at Amazon. Includes Dungeon Siege I, II, III and its DLC Treasures of the Sun. If you bought these items separately at their current cheapest prices, your total cost would be about $31. The Dungeon Siege 3 PC download and its DLC Treasures of the Sun is only $5 today at Amazon. Elsewhere you'll pay $23 for each separately. Dungeon Siege 3 Bundle drops to $5 at GamersGate today only. Includes the base game and DLC Treasures of the Sun. Game activates on Steam. Amazon has a Dungeon Siege I, II, & III this week bundled for PC download only $12. Lowest price we've seen by $8. Normally $90. The average price for this game in the past 6 months is $2.70. The game first became 50% off on Sep 26, 2011 at Amazon. Lowest historic price was $2.40 on May 13, 2015 at Green Man Gaming. Dungeon Siege 3 under $3 after coupon at Green Man Gaming. Solid 75% instant savings discount stacks with a 25% off weekend coupon. Lowest price ever seen by a buck. The average price for this game in the past 6 months is $1.26. The game first became 50% off on Feb 4, 2013 at Amazon. Lowest historic price was $1.19 on Jan 24, 2019 at Green Man Gaming. The average price for this game since released is $4.16. The game first became 50% off on Feb 1, 2013 at Green Man Gaming. Lowest historic price was $1.31 on Sep 20, 2013 at Green Man Gaming. The average price for this game since released is $30.67. The game first became 50% off on Sep 26, 2011 at Amazon. Lowest historic price was $4.99 on Mar 28, 2013 at NewEgg. Dungeon Siege 3 (Xbox 360, PS3) has barely been out for two months and it's already had a significant price reduction --now only $32.99 at Amazon. That's $14 cheaper than the next best price and the new best price ever. Amazon dropped the price on Dungeon Seige 3 for the PC, PS3 and Xbox 360. Now twenty bucks cheaper than it's June 21st release date and $17 less than the next best price online. Good buy if you're into hack n' slash RPG's. The average price for this game since released is $32.18. The game first became 50% off on Sep 26, 2011 at Amazon. Lowest historic price was $6.99 on Mar 28, 2013 at NewEgg. Pre-order Dungeon Siege 3 (PS3, Xbox 360, PC) and get a $10 Amazon Gift Card and "Bite of the Arakun," in-game gift FREE from Amazon. The PS3 and Xbox 360 games cost $59.99 and the PC game is $49.99. 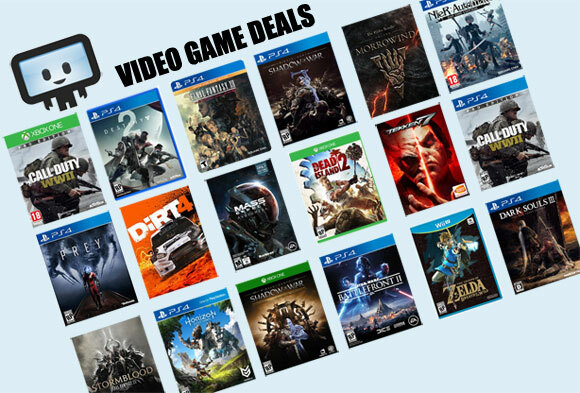 Your basically getting the game for $10 cheaper than anywhere else, especially if you shop at Amazon a lot. Try out the brand new Dungeon Siege 3 PC game for FREE before you actually purchase the full game. Amazon has a Demo version of Dungeon Siege 3 (PC Download) available for FREE. Since Dungeon Siege 3 was just released today this is a great way to try out this brand new game and see if it really lives up to all the hype. I just wish this game had mac support :( looks like I'm going over to my friends house to give this one a try. Dungeon Seige 3 is the first creative collaboration by Square Enix and Obsidian Entertainment. The game starts in the outer north region of Ehb, and you play as one of the descendants of the 10th Legion, a dishonored group that protects peace and order in Ehb. Along with the surviving legionnaire Venerable Odo and other descendants of the Legion, your ultimate mission is to claim the northern Kingdom of Ehb by defeating Jeyne Kassynder, the ruler of Churches and Eastern Ehb. Up to 4 players in single-screen coop, you can choose among the characters that belong to classes; Lucas Montbarron the Guardian, Anjali the Archon, Katarina the Gun Witch, and Reinhart Manx the Mage. Dungeon Seige 3 will be released in North America on June 21, 2011, and worldwide by July 28, 2011. Receive the Bite of Arakun, a Ring of Poison and Withering, when you pre-order thru Amazon.